Kennebunkport attractions run the gamut: from learning how to craft micro-brewed beer to feeling the salt spray as you take an exhilarating sailing trip off the coast of Kennebunkport Maine, there's something here for everyone. Whether you're a history buff who would enjoy the great walking tours in Kennebunkport, or you're more of a nature lover, you will find plenty to keep you occupied in this quaint corner of the world. From the Bush House to the First Chance Whale Watch to a beautiful windjammer cruise, there are enough Kennebunkport attractions for either a day trip or an extended stay. There is even an beautifully situated Franciscan monastery just off Dock Square in Kennebunkport, where thousands enjoy the peaceful and expansive grounds every year, especially in summer. Everybody is welcome to visit this distinctive Kennebunkport attraction, to rest, to meditate, and to pray. The Franciscan Guest House is a wonderful place to stay, particularly on a budget. 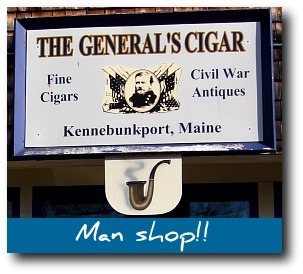 Residents already know about Kennebunkport attractions of an interesting historical nature. 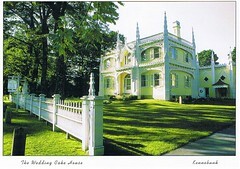 Non-resident fans of Greek revival architecture need to put the Nott House on their list when they visit Kennebunkport. Four generations of the Perkins and Nott families spent their time in the house from the late 1700's clear through to the mid-1900's. Take a guided tour of the Nott House and see how people lived and worked in Victorian times. You can also see the Bush House, otherwise known as Walker's Point. Known for its wondrously manicured landscaping and a breathtaking view of the Atlantic Ocean, the Kennebunkport summer home of American Presidents George H.W. Bush and his son, George W. Bush, is a must-see on any tourist's list. World leaders such as Israeli Prime Minister Yitzhak Rabin and Russian President Vladimir Putin have visited the famous house - why not you? When you visit Kennebunkport, be sure to stop by the fascinating Seashore Trolley Museum, which is a treasure trove of mass transit vehicles and is the oldest and largest mass transit museum in the country. Featuring historic trolley cars, rapid transit trains, trolley buses, and motor buses, the museum has something for people interested in history as well as people who appreciate viewing various forms of transportation. Take a 25 minute trolley ride, then stop by the Town House restoration shop to see how these magnificent vehicles are restored! 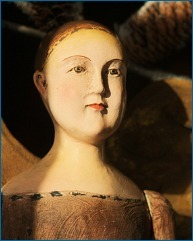 Kennebunkport also offers a variety of art galleries sure to keep art aficionados occupied for hours. For example, you can visit the Christopher Becker Gallery, featuring photography of scenic Maine. The Home & Away Gallery has wondrous Native American artwork from stone sculptures to limited edition prints. On the Maine Brewing Vacation you also get to eat at one of my favorite places in Kennebunkport, Federal Jack's restaurant. Overlooking the busy harbor, Federal Jack's is home to my favorite beer, Shipyard Brown Ale. Maybe it will become one of your favorite Kennebunkport attractions, too! Lighthouses are appreciated by many people for their beauty. 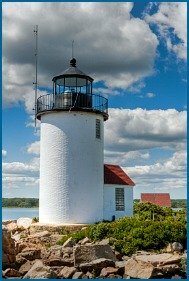 If you appreciate the splendor of lighthouses, then put Goat Island lighthouse on your list of Kennebunkport attractions to see. In 1990, the United States Coast Guard automated it, and it is an active lighthouse today. 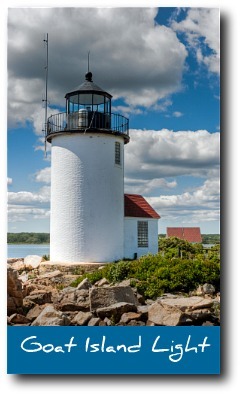 Goat Island Light is located on the "quiet side" of Kennebunkport, Cape Porpoise. There's a lovely long pier out there that's just right for sitting and enjoying a long lunch and a quiet talk with a friend. The video below from Cape Porpoise Lobster has some nice shots of that pier and of the lighthouse and benches. It's obviously shot in winter or early spring - try to imagine the scenery with greenery!! If you're a nature lover, be sure to go on the First Chance Whale Watch when you visit Kennebunkport. You will cruise 20 miles and see whales, dolphins, and other majestic sea animals in their native habitats. The tour of 4 and a half hours will give you memories that you will treasure forever. Another worthwhile cruise is an hour and a half lobster tour. 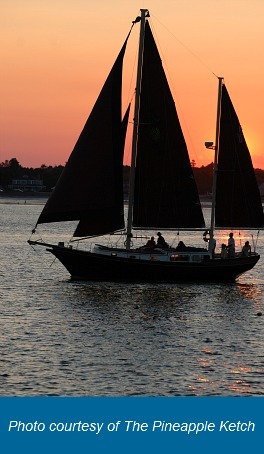 Ride the popular boat Kylie's Chance on the gorgeous Kennebunk River and along the coast. You will be able to see friendly Maine seals frolicking in their watery playground. 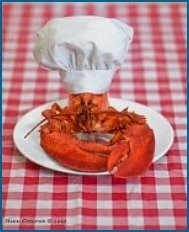 Lobster lovers are sure to enjoy watching how the popular Maine lobster is caught. More views of the picturesque town of Kennebunkport can be seen by participating in a windjammer cruise aboard another one of the classic Kennebunkport attractions - sailing ships. If sailing is in your blood, then you simply must get on a sailing ship and take in the sights. Flying four sails, with a large teak cockpit and spacious cushioned cabin tops to stretch out on, the Eleanor embarks on two-hour sailing trips where it feels like the cares of the world drift away. You can either let the rest of the family enjoy other area offerings while you enjoy some time by yourself, or bring them along for a fun outing you'll be talking about for years. Sailing daily from the Nonantum Resort, the Pineapple ketch offers two hours sails, sunset cruises, private charters and even Learn to Sail programs for the truly ambitious! Aboard Pineapple, guests are invited to set sail, haul line, or simply lie back and soak up the sun and salt air. Seacoast Sailing offers two-hour public day sails, romantic sunset cocktail cruises and private charters aboard their custom built 60' vessel, New Horizons. 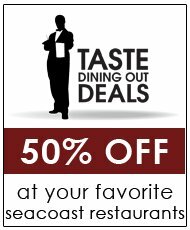 Leaving daily from Dock Square Memorial Day through Columbus Day, reservations are recommended. If you like to exercise your muscles while enjoying scenic views, be sure the check out a kayaking trip with Coastal Maine Kayak right in Lower Village. You can either take a guided tour to hear interesting stories that are sure to keep you enthralled or rent a kayak and strike out on your own. If you're new to the area, consider a guided tour so a genuine Kennebunkport Maine guide can point out the fascinating wildlife to you. Coastal Maine Kayak also rents bicycles. Kennebunkport Attractions Are Great, But Don't Skip Kennebunk! It's just a little over the top. If you're into history, then you'll enjoy the Brick Store Museum in Kennebunk center. Take your cell phone with you because you can use it to hear interesting information. You don't have to pay anything extra for the audio tour, just make sure you have enough minutes on your cell phone plan! Take your whole family with you because your children can enjoy the kid's tour which has been especially tailored to cater to their entertainment needs. Nationally known all-natural personal care product company Tom's of Maine has a great outlet store in Kennebunk center, and if you've ever wondered how toothpaste gets in the tube or how deodorant is made, take the summertime tour of the Tom's of Maine factory in Sanford, Maine. On the way to the Tom's of Maine factory on Route 109 in Sanford, you'll pass right by the Shain's of Maine ice cream factory, where you can stop in and have a delicious cone (or two). 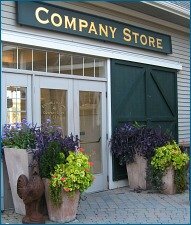 If you love architectural history, or interior decorating using antique fixtures, spend some time at the Old House Parts Company at 1 Trackside Avenue just off Route 35 driving from Kennebunkport to Kennebunk center. Architectural salvage from 1730 to 1930 - an antique lover's dream! I can, and sometimes do, spend hours poking through all the stained glass windows, antique mantels, newel posts, glass doorknobs, and sooooo much more. As you can see, there is a huge variety of Kennebunkport attractions. You'll want to set aside at least a day out of your vacation in York to see all the interesting and spectacular sites. Plan your trip to Kennebunkport soon - you deserve it!